There’s a large, warm water puddle on the driveway just in front of the visitor center where lowland leopard frogs and Gila topminnow breed. Birds catch insects over the water and prints indicate that coati and raccoon forage there at night. 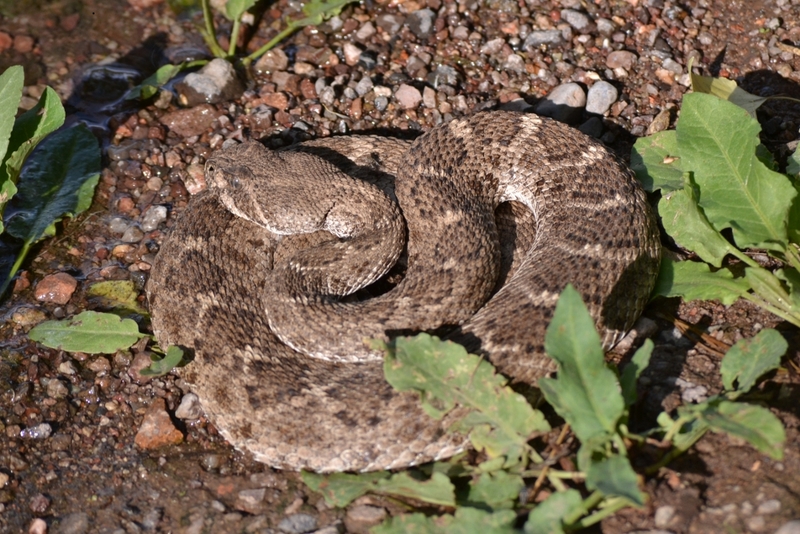 Rattlesnakes, especially western diamond-backeds, hunt along the edges. We’ve heard tales of a large rattlesnake called Henry (that may or may not be our Henry) that hunted here for years and was well known among preserve guests and staff. 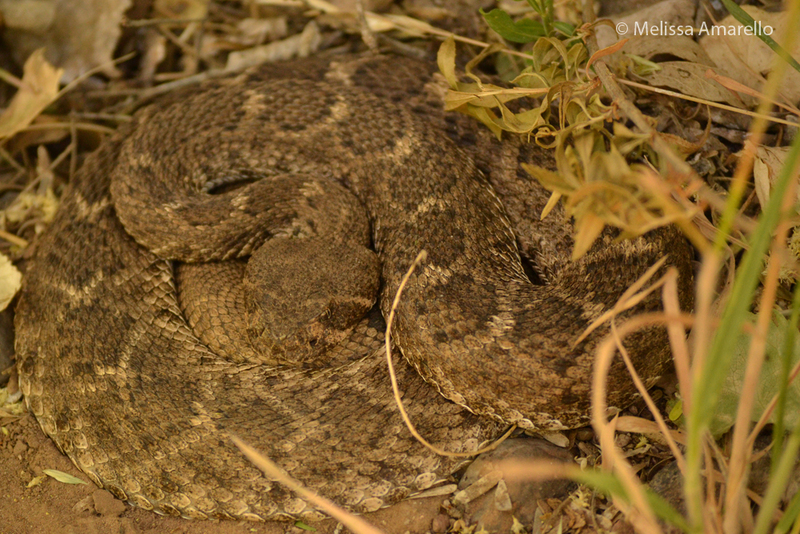 But mostly Jeff and I have seen FiveLong, a female western diamond-backed rattlesnake, here. She first appeared last year mid-June, at the start of our foot trail around the puddle. We saw her nearly everyday for a month or so, then she disappeared. Yesterday (9 May) there was a rattlesnake coiled at the start of our foot trail for the first time in months and sure enough, it was FiveLong. Can you tell how she got her name? Snake Count is only a week away! Get the details on our event page.